Hotel Khasdan is a modern, A-class category hotel, comprising 20 well-maintained guest rooms, including 4 suites and 4 deluxe rooms. 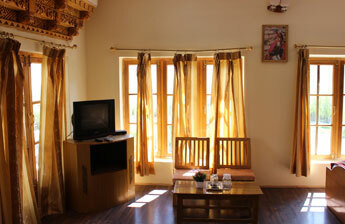 All rooms are fully furnished with attached private bath-shower provided with running hot and cold water. 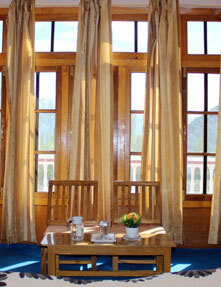 Most of the rooms are airy, homely, and have magnificent views of the snow-capped Stok-Khangri Mountains. Established in 1989, the hotel is managed by Mr. Tsewang Gyaltsan and his uncle, Phuntsok Tsering with customized hospitality and personalized service lending it a warm homely ambience. Do not expect this to be a fancy hotel. It is a decent hotel with neat clean and big rooms. The hotel is perfectly located. 10 min drive to the market and airport. The food is really good. They have a wide variety to offer. They also make what ever we feel like eating. Only thing is they do not clean up the room and make beds everyday. Since we are hardly in hotel we did not really mind. They staff is very very helpful. I would definitely recommend this place. A very comfortable stay. If you plan to shop at Leh, buy it from Hall of fame store. They are very very cheap when considering the market.limited variety, but if you like you get the best rates. 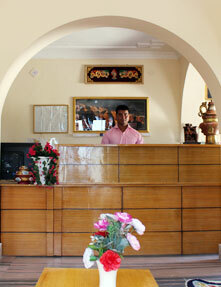 This is a very good hotel in comparison to Leh hotels, has a huge parking and spread in acres. 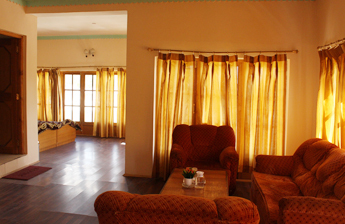 The rooms are spacious and have basic amenities. 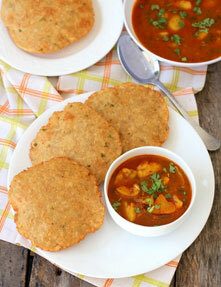 The staff is very co-operative and the food is delicious. The location is a bit far from the market but the hotel arranges the Cab (chargeable) whenever required. 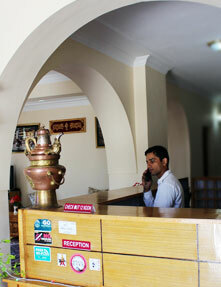 the cleanliness in the rooms and the restaurant is well maintained. We stayed here for a week. Its truly an amazing place and the staff there are very hospitable. 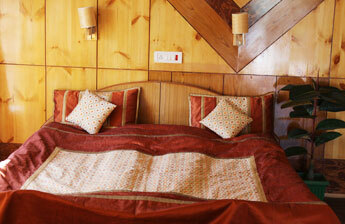 The rooms are very neat and its located in a very serene area. Would definitely go back to this place again !